What a sweet week! 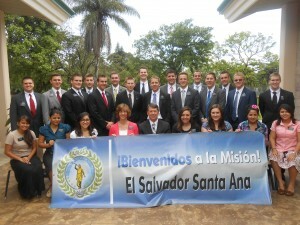 I love it here in El Salvador. This was definitely a week of firsts. I had my first real papusa, got my first bug bite, saw my first camel spider (scary), chased my first bus, was chased by my first pack of dogs… and had my FIRST BAPTISM! Yesterday this wonderful young girl was baptized and it was so cool! My Trainer, Hermana Judd is a miracle worker. Turns out, we knew each other before the mission, we had the same mutual friend growing up! I love her to death! We have a small little house in the middle of Santa Ana, Santa Ana. It is extremely humble and quite ghetto, but it is home! We are never there, really. It is just the two of us and thousands of bugs. You learn to get used to them really fast here. Just dont make eye contact with the spiders…. We start and end the day on our knees and it is the best part of the day! We start the day with cereal and usually don’t have time for dinner, so after planning we make a PB&J. A sister in the Ward, Hermana Paty, makes us a huge lunch every day. She is such a gem and has the greatest family. Earlier this week we were leaving our house to go to lunch and I accidently locked the keys in the house…. 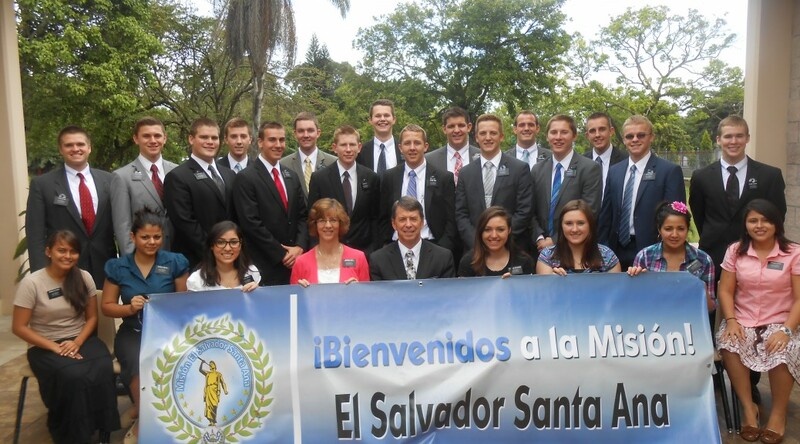 Hermana Judd said that it wasn’t a problem, we would just go have Hermana Paty Help us… well. Our house has a front patio thing with a big metal door and then the front door to our house… All the homes here have barbed wire along the roofs and fences for safety. Well, that front gate was locked too and so we were stuck in our front patio… All our windows are covered by metal guard rails too… So Hermana Judd found a small razor and attempted to cut through the metal guard rail… After she cut her finger we decided we should probably pray…. long story short, we reached through the guard rails and took out the glass in our window, got our keys and got to work. The Lord definitely keeps us humble and has a perfect sense of humor. We have so much fun together! She pushes me every day! Really the members here are amazing! Every week there is a Missionary Family that specifically helps us and works alongside us to reactivate and find new people to teach. The Bishop is also amazing, everyone is excited to work with us. 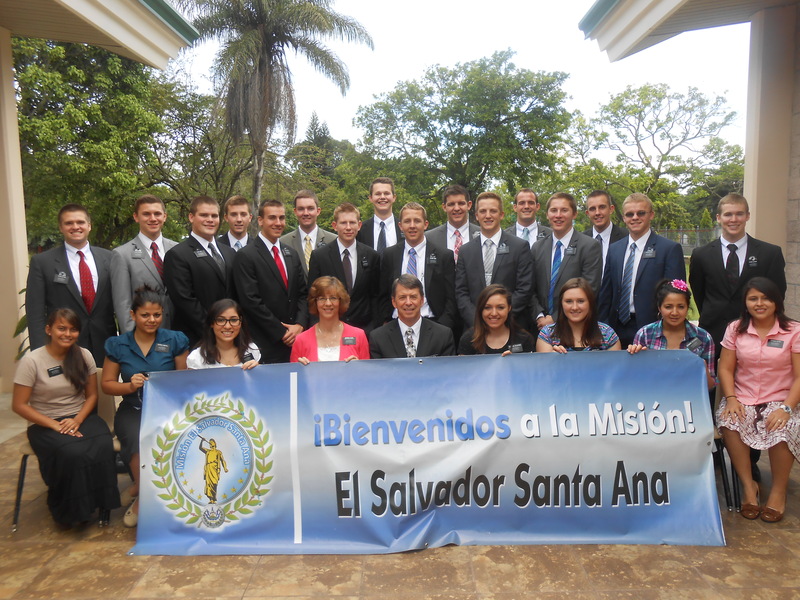 They are amazing examples of member missionaries. Yesterday was my first day at church here and everyone came up to shake my hand and welcome me. It is the custom here (for girls) to greet each other with a kiss on the cheek. It took a little while to get used too. But the people here are so beautiful. Everyone lives in extremely humble circumstances, it is quite shocking at times when we enter homes. I have taught in homes made from garbage bags and bamboo, homes with dirt floors and the people are so humble and welcoming. They have been so humbled and prepared to receive the lords message. The easiest way to teach is to serve. This week we helped clear out part of the jungle, weeding and facing all sorts of unsavory insects, but the Brother we helped, Carlos, is soooooo ready to hear the message. This past Saturday we also bought food and made dinner with a family with a less active. They had literally nothing and so we saw an opportunity to improve our cooking skills. I made horchata! With my Hands!! it was pretty good. But the results were miraculous. Apparently people that have not been as open are accepting us and people that had been stagnate are now starting to progress. The Lords hand is in it all, and Hermana Judd and I are definitely the power team! We have some humbling experiences, but I pray every day that we can be instruments in the Lords work and have an opportunity to serve. The Lord has blessed us so much. I am trying my hardest to lose myself in the work and the days literally fly by. I hope to keep the pace. I am beginning to grasp the gravity of the stewardship the Lord has blessed me with… I pray every day that I can live worthy of it and work my hardest. This is not my time, it is time the Lord has given me. I am here to work… It is definitely not easy… One of the Elders, Elder Perez told me, “If the bitter cup don’t pass, drink it.” There are moments when I wonder what on earth I am doing here and feel overwhelmed but I never ever regret my choice. Every night when I am on my knees talking to my father, I can only remember the blessings and miracles I have received from the day…and I can only offer gratitude. Whom the Lord calls, the Lord qualifies… I just have to keep the pace. I have definitely lost weight… I am always sweating and my hair is never dry… It rains a lot here and is extremely humid. The other day we had a huge storm and a little river was totally flooded! it was quite scary looking but we were just fine. It is so beautiful here. It is so green and there are so many gorgeous flowers! My Spanish is coming along really well. Though my companion and I speak English, we try to use Spanish as much as possible. I can understand so much more than I can say, so when I speak I use really simple sentences, but when all else fails I just bear testimony. I have come to rely entirely on the spirit. But I love teaching. The spirit is always there teaching me and giving me confidence. Every Time we begin a lesson we sing a hymn and say a prayer and every time: BOOM! Spirit. I love it! The best part is when we give the baptismal challenge or invite them to do something. We are here to help Change lives and bring people closer to Christ, and it is miraculous to see people make those changes. I love it. I love you all. Keep on serving. Thank you for your support and your faith.